Abiomed to Showcase Expanded FDA Indications and Next Generation Heart Recovery Products at TCT 2018 | ABIOMED, Inc.
DANVERS, Mass., Sept. 19, 2018 (GLOBE NEWSWIRE) -- Abiomed, Inc. (NASDAQ:ABMD), the leader in heart recovery, announces its initiatives at the 30th Transcatheter Cardiovascular Therapeutics (TCT) conference will highlight the recently expanded FDA indications for high-risk PCI and cardiogenic shock. Initiatives will also highlight Protected PCI’s ability to allow for more complete revascularization, which improves outcomes1 and quality of life2,3. More than 30 presentations as well as live cases featuring Impella® heart pumps are expected at TCT 2018, taking place September 21-25 in San Diego, California. 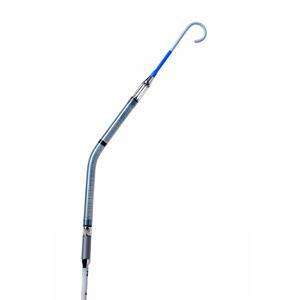 The FDA approved Impella CP® with SmartAssist™ includes hemodynamic sensors to intelligently position, manage and wean. Visit booth #829 to learn more about Abiomed’s commitment to advancing the field of heart recovery through clinical research and innovation to improve outcomes and lower health care costs. In the hemodynamic support and patient management pavilion, Abiomed is hosting practical, hands-on workshops on large bore access and closure, advanced hemodynamics, best practices in cardiogenic shock, and complex Protected PCI strategies. A breakfast symposium on Saturday, September 22 at 6:30 a.m. will feature data on Abiomed’s FDA approval for cardiogenic shock associated with cardiomyopathy, including peripartum and postpartum cardiomyopathy. Faculty will also discuss the role of ventricular unloading and the latest results from the National Cardiogenic Shock Initiative (NCSI). Initial NCSI data showed 76% survival and 100% native heart recovery when the NCSI protocol and best practices were used. To register, click here. Protected PCI with Impella allows for more complete revascularization, which improves outcomes and quality of life. Abiomed anticipates the broadcast of several elective high-risk PCI live cases using hemodynamic support with the Impella heart pump. The schedule for Protected PCI and cardiogenic shock related TCT symposia is included below. Saturday, September 22 | 11:30 a.m.–12:30 p.m.
Saturday, September 22 | 6:30–8:00 p.m.
Abiomed will host an Annual Investor Breakfast on Monday, September 24, from 7:00 – 8:00 a.m. A prominent physician will present on Protected PCI and Cardiogenic Shock programs and protocols at his hospital. The company will also address new technology and innovation highlighted at TCT 2018, including Impella CP® with SmartAssistTM, and conduct Q&A with Abiomed management. Additionally, the company confirms that the STEMI DTU FDA feasibility study will be presented in detail November 11th at the American Heart Association (AHA), in Chicago, and will not be covered during this TCT event. Abiomed TCT Investor Breakfast slides will be posted at http://investors.abiomed.com/events-presentations. To request attendance, please email ir@abiomed.com. Dangas, G. et al. Am. Journ of Cardiol. 2014 Jan 15;113(2):222-8. O'Neill, W. et al. Circulation. 2012 Oct 2;126(14):1717-27.